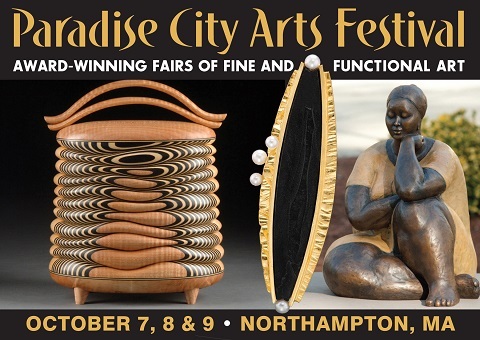 Welcome to the 24th Annual Paradise City Arts Festival! 250 outstanding artists and makers from every corner of America travel to Northampton for three days of astounding visual arts, eye-popping design, scrumptious food, lively music and special events. The Festival is held inside three large, airy Exhibition Buildings connected by covered walkways and under the 12,000 square-foot Festival Dining Tent. This sprawling, thrilling showcase for the arts is an experience like no other – beautiful, unique, festive and fun.